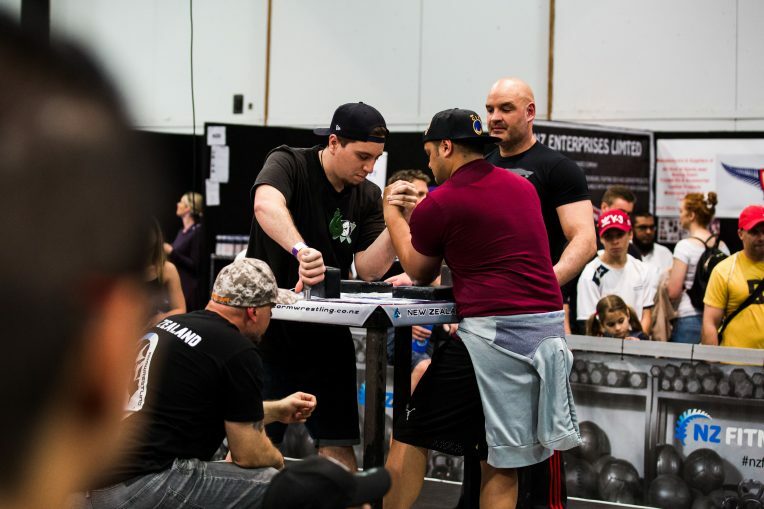 The NZ Arm Battle was back in 2018! 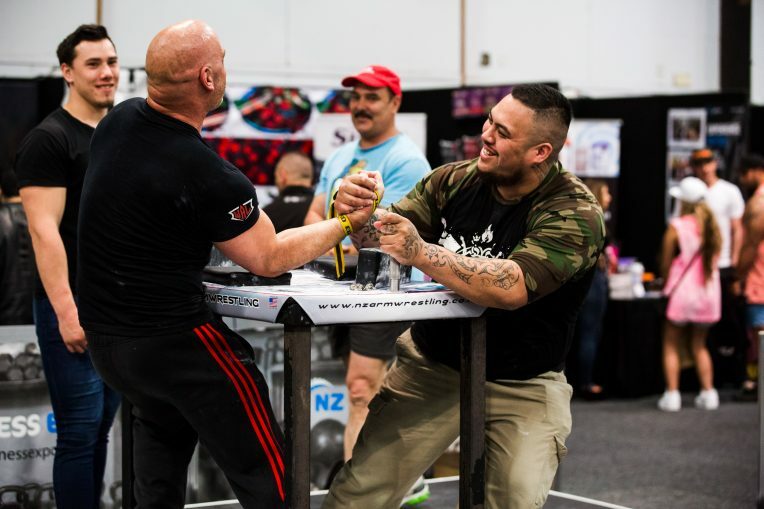 The New Zealand ArmWrestling Federation hosted ArmWrestlers from all over New Zealand and Australia to compete in a double elimination tournament – Saturday 27 October 2018 and Super Matches – Sunday 28 2018. 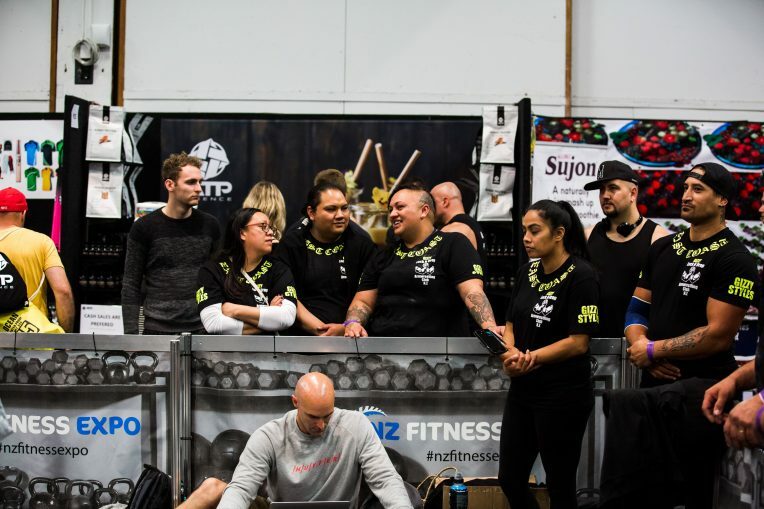 Saturday’s double elimination was split into 3 classes, 85kg, 100kg and 100kg plus. 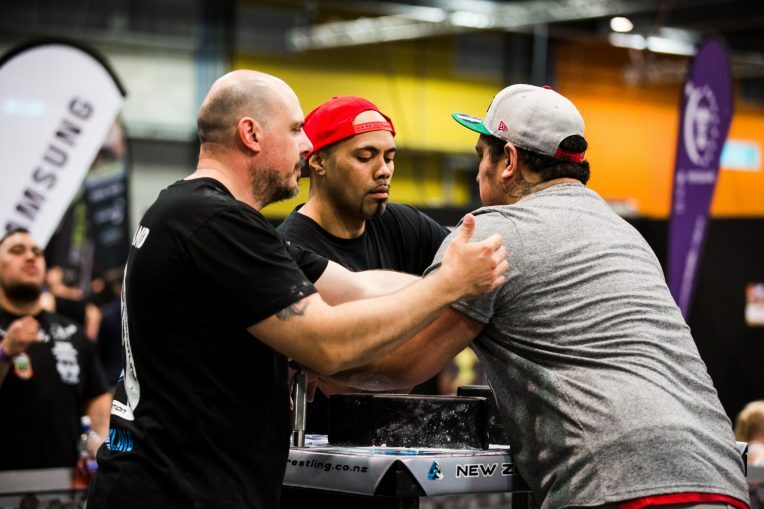 The event was left and right handed and was action packed, with fast hits and crazy wars that left you mesmerised. 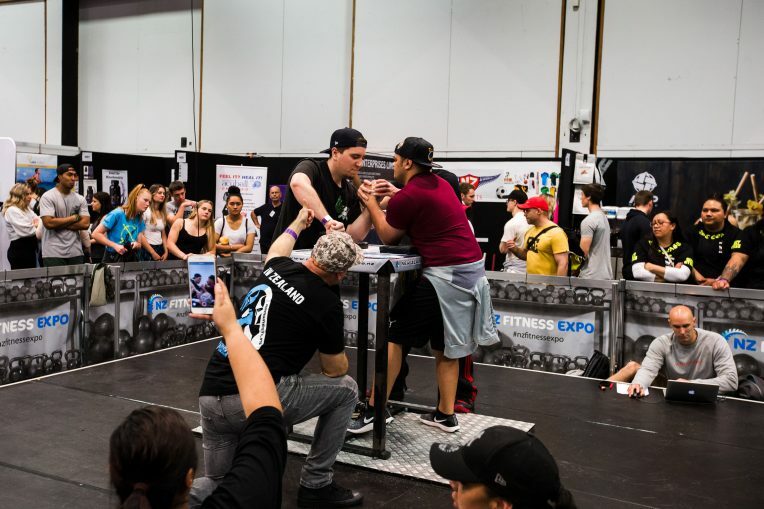 The Arm Battle Super Series is where 2 competitors battled it out over 5 rounds to see who had the best endurance, strength and technique with a minutes rest in between rounds. Definitely a nail biter!